The Bodymax Infiniti R90 Rowing Machine is one of the best rowing machines in the market. It has advanced features, and it’s made with durable materials that can support various users with different fitness levels. There may be other cheaper options, but the Bodymax Infiniti R90 Rowing Machine is a smart investment to make. If you’re still having doubts on buying this equipment, keep on reading to know why I think it’s reasonably priced. The Bodymax Infiniti R90 Rowing Machine is made of aluminium which makes it lightweight yet has a robust quality. Even if you’ve never rowed before, you will feel confident in using this machine because it feels very stable no matter how intense your workout and it can hold users of up to 120kg. This single machine can provide you with a total body workout which can promote weight loss as well as muscle strengthening. Rowing can also help in improving your cardio endurance just like other fitness machines such as treadmills and exercise bikes. 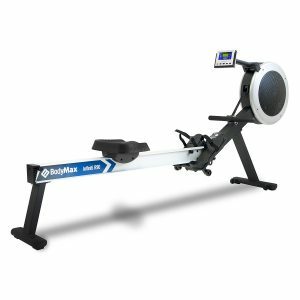 More often than not, cheaper rowing machines aren’t suited for taller people because they have short aluminium rails and small foot pedals. You won’t face the same dilemma with the Bodymax Infiniti R90 Rowing Machine because it provides full strokes even for users above 6ft. Its strong aluminium beam is designed with a raised height, and the foot pedals are adjustable to any foot size. Also, the footrests are made to be closer to the user to simulate the feeling of rowing on water. 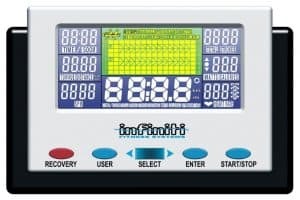 With a dual-coloured LCD console, your workout will undoubtedly be fun every time. The Bodymax Infiniti R90 Rowing Machine features 12 inspiring workout programs which include Watt Caloric Burn, Race, Recovery and Heart Rate Controlled. These programs will help you achieve your fitness goals, no matter what they are. Plus, you can also add challenge to your exercise with the 16 levels of magnetic resistance. Be careful when trying to push your limits as the higher levels can be challenging even for experienced rowers. Aside from this, the Bodymax Infiniti R90 Rowing Machine also allows you to save user profiles so each family member can strictly keep track of their progress. After working out, you can quickly fold away the Bodymax Infiniti R90 Rowing Machine and move it to the storage room. It’s even advertised as “Easy-fold System, No Need to Kneel!” which makes it effortless to keep out of sight when not in use anymore. Assembly is also important to many buyers as it can be frustrating when you can’t put something together. However, with this rowing machine, it will be easy to assemble, and it would only take around 45-60 minutes to get the equipment ready for action. The Bodymax Infiniti R90 Rowing Machine has received a lot of positive comments and reviews from its customers. However, there was a minor issue that was reported regarding the equipment, and it’s the slightly noisy seat. As the seat glides on the aluminium rail when rowing, it can make minimal noise, but it’s totally bearable. Aside from this, the rest of the rowing machine works fine, and it would still be recommendable for anyone who would like to invest in building a home gym. 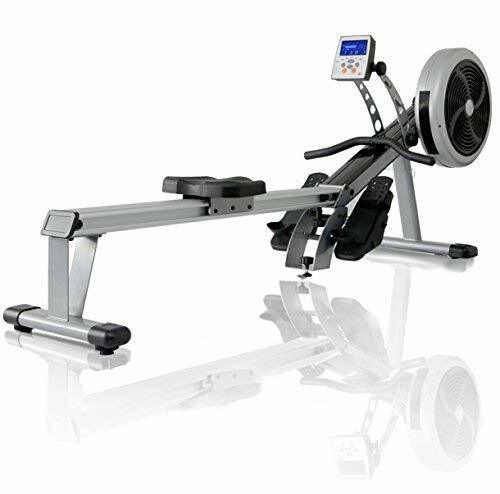 Also considered as one of the most relied rowing machines is the Concept2 Model D Indoor Rower. It claims as the best-selling indoor rower in the world, despite the fact that it’s on a high-end price range. You’re in for a long-lasting and stable rowing machine if you buy this one because it has a maximum weight capacity of up to 227kg, which you probably won’t find in any other rowing machine. Aside from this, it also features wireless capabilities which support machine-to-machine racing and connectivity to computers and smartphones. What also makes this rowing machine different is that it uses air resistance it doesn’t have any resistance levels. Instead, the faster you row, the harder your workout gets, so it depends on your pacing. The JTX Freedom Air Rower is also one of the few rowing machines that use air resistance, but also with the help of electromagnetic resistance. It uses DualTorque technology which combines air flow and electromagnetic resistance to create a vast resistance range, so it comes with 16 levels of resistance. This rowing machine is also stable with a maximum user capacity of 130kg but it sill fold away easily, and it has transportation wheels. 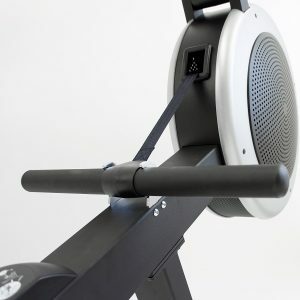 It has eight pre-programmed workouts, and the wireless heart rate chest strap is already provided, which is usually optional for most indoor rowers. 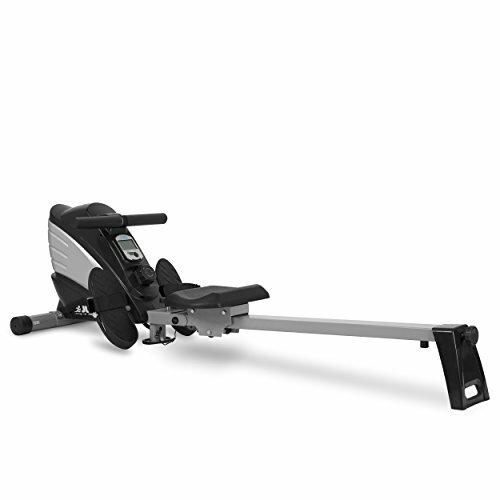 The York Excel 310 Rowing Machine can pass as a cheaper alternative for high-end rowing machines. It’s also suitable for taller users with a 113cm aluminium track, and it can accommodate up to 120kg. 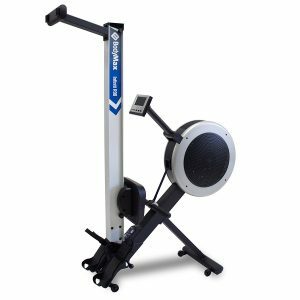 This mid-range priced rowing machine is effective for beginners and even advanced users as it offers 16 levels of magnetic resistance. It also boasts a 5.75-inch LCD display with 12 pre-set programs that will make your workout fun and challenging. 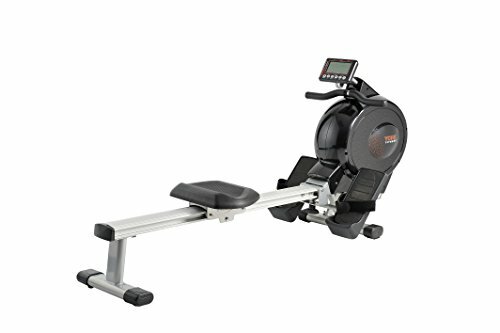 There are a lot of features integrated into this rowing machine while still being budget-friendly, which makes it an excellent addition to your home gym. While if you’re really on a tight budget, or you’re just not yet ready to spend too much on a rowing machine, I can recommend the JLL R200 Rowing Machine. You can utilise the equipment no matter what your fitness level is, with its ten levels of resistance. 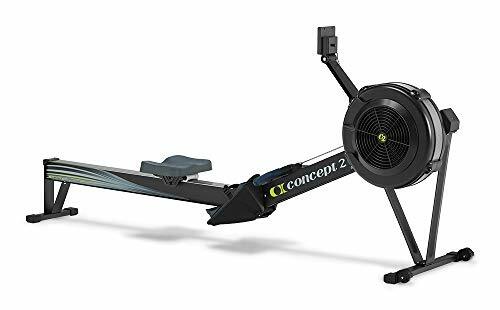 Its maximum user weight is 100kg, and it’s direct belt driven, so it provides a quiet and smooth workout to replicate the simulation of rowing. Even at an affordable price point, this rowing machine ensures that it’s of good quality and it will provide you with an efficient workout. Even when compared with other models, the Bodymax Infiniti R90 Rowing Machine is still a better choice, especially if you want a cheaper alternative with the Concept2 Model D Indoor Rower. It has a robust quality, and it can accommodate various people, with a user profile feature to individually keep track of your progress. With its 16 levels of magnetic resistance, you’ll be able to improve your endurance while gaining a fit body.